May is the most special month of the year for me (read: my birthday). Because of that we have plenty of important announcements and progress to share with you. Firstly, the application for Green Market vendors and exhibitors is opened and due to the overwhelming reception for the past years the Green Market is extended to four (4) days as we believe this will allow the NGOs and social enterprises to reach out to more public. 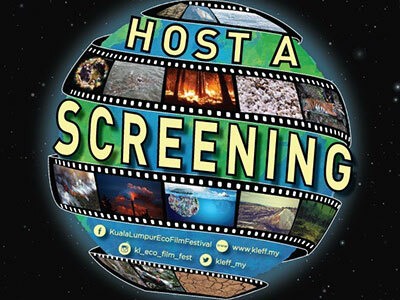 Secondly, we are offering FREE film screenings at universities within Klang Valley (for universities outside Klang Valley, please contact us if you are serious about having us) so we can continue to educate the students and the youths on pressing environmental issues from local to global. 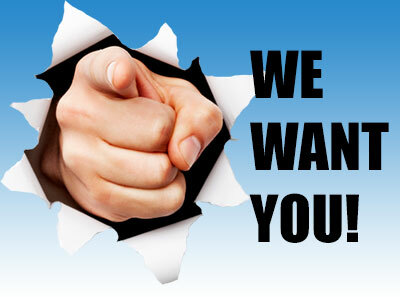 Next, we have also opened the application for volunteers (hint: university students). Every year we require 300 dedicated volunteers to come and help mobilise the entire festival weekend in October. If you have participated before, you must know what I mean. Perhaps because this month is my birthday, my wonderful team decided to do an exclusive interview with me to hear about my stories being with KLEFF for the past 10 years. I have to confess, it was emotional for me looking at some of the old pictures, back when I was only a volunteer. Thanks to Fara for conducting the interview, I’m not going to spoil it for you, go and read it all in the interview. Lastly, I really appreciate your help to share with other people about this festival and we love to spread it further and continue to inspire action to the public. For more details about the vendor application, click here. One of the ways that we reach out to the public and corporations is through university screenings. 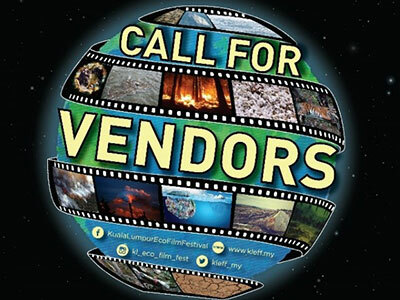 We are calling for universities in Malaysia – either public or private – to host a screening in your university and let the power of films enhance your understanding on environmental issues. KLEFF 2017 Announces This Year’s Lineup Of Judges! Step right up for the 2017 KLEFF panel judges for this year’s film competition. 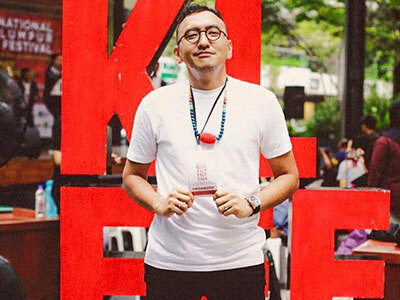 This year we will be seeing two familiar faces - Azuan Muda, co-founder and CEO of TEEBTV, an online broadcast channel; and our KLEFF Festival Director himself Fadly Bakthiar. 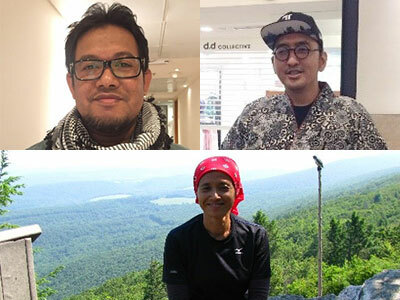 Joining them is a new face, Dr. Nurul Salmi, an ecologist from USM who is active in environmental and community programs. For those who are curious about our judges, check them out here! Are you a young, spirited individual who loves the environment? Come and volunteer for KLEFF! This year we are celebrating KLEFF’s 10th anniversary to honour film-makers and environmentalist in their efforts of preserving Earth. KLEFF will be held for a week from 23rd to 29th October at Publika, Solaris Dutamas. There will be film screenings, workshops, forums, exhibitions and lively performances for everyone. This will also be a great opportunity for you to develop your skills and enhance your knowledge about the environment as we welcome you to be part of the action! Make yourself free on the aforementioned dates and keep an eye for more updates at EcoKnights official website, facebook page or visit http://kleff.my. We will be opening our registration very soon so stay tuned! KLEFF Eco Workshop Sneak Peak! As we are paving our way to October for KLEFF 2017, the Knights are busy preparing and scheduling exciting and knowledge-packed workshop for our ever-learning participants! Follow us as we share with you more details about these workshops or best yet, tell us what kind of workshops that you’re interested in (do buzz us at our Facebook page)! Eco enzyme is a multipurpose liquid with various applications which include usages in homes, agriculture, animal husbandry and many other areas. 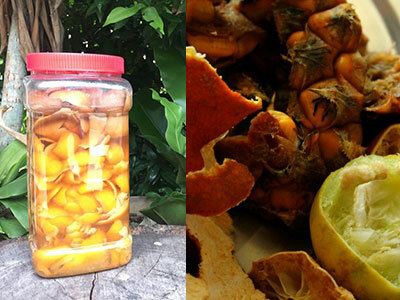 It is easy to make your own Eco-enzyme with food scraps, producing an effective multi-purpose solution that is useful and harmless to the environment! Let the solution ferment for a minimum of 3 months, then simply dilute the enzyme in reference of different ratio for various functions. 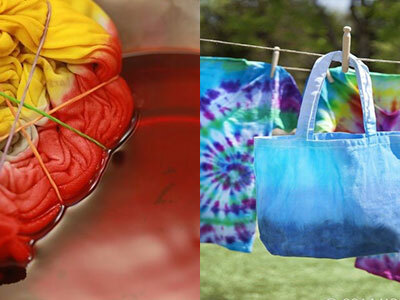 Explore and experiment with Mother Nature’s colour palette! This workshop is super easy, all you need to do is simply extract the colours from a handful of readily available natural ingredients such as onion and flower petals then you can start and dye your fabric. You can use various techniques to tie, fold, dip and dry it to get your desire design and colour combination. Traditionally, the person behind the FABulous interview is the fabulous man himself, Festival Director, Fadly Bakhtiar. This time around, the table has turned wherein the interviewer becomes the interviewee. On 5th May 2017, our Knight, Fara took Fadly down memory lane to relive the good old days of KLEFF. Read the full FABulous interview here! Check Out What Our Previous Intern, Malathi Has To Say About KLEFF! 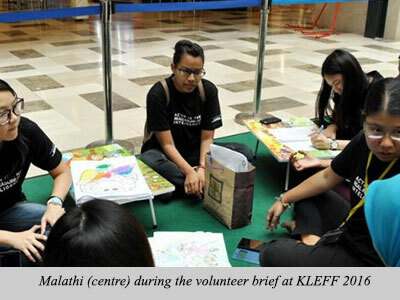 Volunteering for Kuala Lumpur Eco Film Festival (KLEFF) was an amazing experience from the second I set foot at the event. It was a first time for me to be a part of a film festival. I did not have any past experience of organising an event, hence, it was definitely a learning experience for me. I was involved in handling the performance for KLEFF 2016 as well as Jom Beli Produk Hijau (JBPH). It was a once in a lifetime opportunity for me as I learned how to think outside of the box. The people I’ve met during the festival were all exceptional and inspiring. People from all around the globe came to learn, share and educate one another about the environment and other social cause. As a volunteer, the festival taught me how to be a team player and the importance of communication while running an event. The EcoKnights team were all very encouraging and helpful as everyone was in it together. I am immensely grateful that I was able to be a part of such an amazing team. I am eager to take part in this year’s KLEFF’s 10th anniversary.